You may be longing for the day when your time truly becomes your own. The freedom to spend your days where and how you want and no longer having to deal with the stress of a nine-to-five job may make the notion of ‘nothing-to-do’ look really good. Retirement has the potential to present as many difficulties, stressors, and anxieties as you experienced on the job. It’s a time filled with new challenges, and taking it too easy can make it much harder. 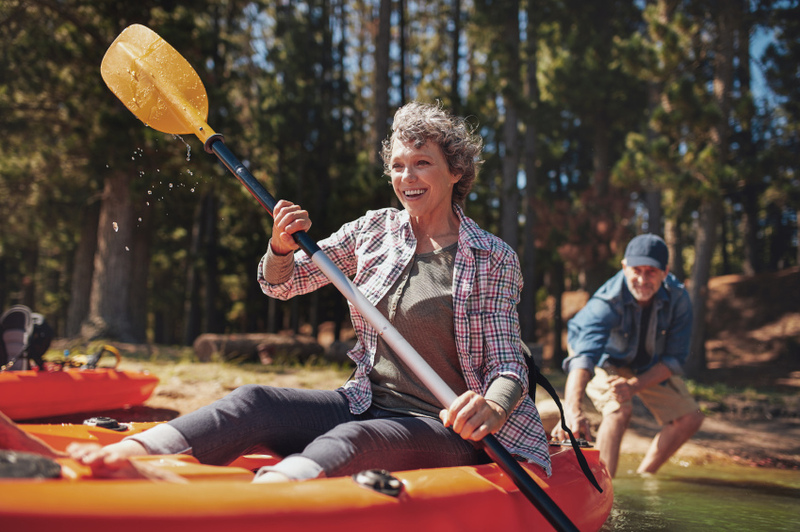 The two biggest challenges you’ll encounter upon retirement are likely spending more time with your spouse and not knowing what to do with all the time on your hands. If your spouse is also retired, you’re both going to be seeing a lot more of each other and it’s going to throw a curveball into your day. During this time you’ve got to learn how to relate to your partner under these new circumstances and find new ways to exist as individuals and couples (1). Give them their space, but also find ways to spend time together that you’ll both enjoy. The other challenge involves adjusting to a life that is relatively free from structure. If you’ve been in the job for the last 50 years and are about to wake up with nothing scheduled for the rest of your life, it can cause a lot more stress and anxiety than you might think. Newly Retired? Don’t Take it Too Easy! Combatting this can actually be relatively easy, as long as you find other commitments that keep you engaged. For some it can mean becoming more involved in a hobby or sport, and for others it might mean volunteering with a community organization. Enrolling in a part-time class to learn something new is also a good idea. At the end of the day, you want it to be something that is interesting, important to you, and keeps you coming back. Even if it’s only once a week, it has the power to keep you engaged—especially if it’s social in nature. Plus, it will give you something new to talk about to the person who’s probably heard everything you have to say! The reason you’ll want to stay engaged with something during retirement is because stress, in small amounts, is a good thing. Your activity, hobby, or area of focus should cause a tiny bit of stress to keep your brain active and intrigued. If it’s causing you so much stress that you’re overthinking it or missing sleep, maybe try something else. But if it poses just enough of a challenge to keep you motivated, then it’s doing its job!